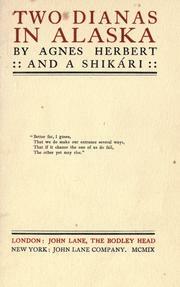 By Agnes Herbert and A. Shikari (pseudonym). London : John Lane, The Bodley Head / New York : John Lane Company. These snide English ladies (one a member of the publishing Windus family) put a gendered spin on “the great white hunter”. Remarkable how they wind up expressing admiration for Native people, once the obligatory ethnocentric insults are dispensed. In a similar way, they also covertly record a significant observation about Chinook Jargon grammatical rules. The following excerpt seems to refer more to southern Vancouver Island Salish people (Victoria’s Lekwungen and/or the up-island Hul’q’umin’num-speaking ‘Cowichans’) than to Alaska. It’s from Google Books, edited as best I can. Emphases are added. Just for illustrative purposes, I’ve coded the authors’ insults in blue, their comparatively neutral wording in black, and their positive comments on Indians in red. the Chinook lingo, is an absolutely shapeless creature, in short, nondescript skirts, with usually a gay plaid shawl folded about her, tied in with string at the place where her waist would be if she had one. Sometimes a belle Indian adds a check apron. Very different all this to the royal braves of Fenimore Cooper, with their leather leggings, shoulder skins and feathers. There is nothing magnificent or romantic about the Siwash. He is a very low-grade person indeed, is always a Siwash, and perpetually smells of fish. Of no stature to speak of, bullet-headed, non-intelligent, he is everything the Indian of the prairie is not. It almost seems to argue that a fish diet for generations does not make for the betterment of the race.The Chinook language, which is mostly used by the coast Indians, was manufactured years and years ago by a fur trader who found the necessity for some more direct means of communication in his bartering deals than arm wavings and signs. Now his invention has spread far and wide, and even the Chinese use it. With no grammar to bother one, the few words of its composition may be picked up very quickly. They are very few, and only need to be juggled with this way and that. Always put the cart before the horse, so to speak, and you’ve got it. The Indian reservations are a collection of ill-built, rough-timbered barn-like houses of large size, and lofty, roofed with shingles split from cedar-trees. So far as we could make out, from observations at Sitka, and other places, the men and women all camped together in the same big earth-floored domiciles. the rhythm, the balance, and the easy grace is so perfect. Some of their great war canoes scale seventy feet or more in length, and are so deep that a man standing in the centre cannot see over the gunwale. All hewn from a single tree, a cedar if possible, and to their aid the Indians summon the Spirit of fire, controlling the havoc he would make in his fierce excavations by water. After a big deep hole is formed in the rough trunk native chisels are called into requisition, and slice off the wood outside and inside. They have no measurements to guide them, no set dimensions, and yet these rough builders invariably turn out a graceful craft of correct lines, seaworthy, and lasting. The vessels are nearly always carved, and ornamented with the inevitable bear, beaver, and eagle. Weird contortions of all three, picked out in indelible blue and red stain. On the morning of the sixth day out from Seattle we made Juneau, which nestles at the foot of a Gibraltar-like rock, and snow covered as the summit was, with the dark green relief of the spruce-trees on its hoary cliffs it would be hard to find a more exquisite scene. The whole beauteous panorama lay reflected in the still waters around our ship. We did not go ashore, and left almost at once for Sitka, the one-time capital of Russian Alaska, now the seat of satrapy of the United States. By the by, they also quote a Chinese laundryman saying “Me no washee no more,” and report that sudden squalls from the mountains are called “woollies” in Alaska.